Posted on May 15, 2014 at 5:08 pm. Anyone who has done even just a little bit of research on adoption knows that the Internet abounds with advertisements aimed at birth parents and adoptive families. Almost all of these ads market the services of what we call “facilitators.” Facilitators are neither service providers nor attorneys; you can think of them as “match makers.” They work with families who want to find a baby to adopt. Because their priority is to secure a baby for their clients, if you choose to do an adoption plan with a facilitator, it is extremely important that you know your rights, since they will not provide you with counseling or legal assistance before, during, or after the adoption. Learn about all of your options without feeling pressured to choose adoption. At Adoptions Together, we believe that birth parents should receive counseling about all of their options, such as keeping the child in the family, and should continue to receive emotional support after the adoption. If you do not know whether or not the organization with whom you are working is a facilitator, you can figure this out by asking whether they plan to have you meet with a licensed social worker. You have the right to meet with a counselor in person before making any decision. Choose the adoptive family and how much contact you want to have with your baby after the adoption. You may not get everything you want – for example, it’s very rare for an adoptive family to agree to visit the birth parents every single month – but neither should the adoptive family’s wishes be the sole consideration in determining how open the adoption will be. Make an adoption plan if you choose to do so regardless of your or your baby’s health, age, or ethnicity. Some facilitators refuse to work with birth parents of certain ages or races or birth parents who have specific health issues or histories. Similarly, if your baby is born with any type of medical condition, some facilitators will no longer be willing to work with you. 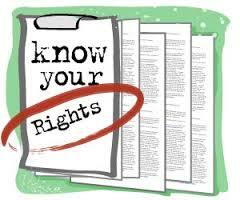 Be provided with your own attorney to represent your rights. Although you may have the option to waive your right to an attorney, we advise you not to do so if you are working with a facilitator, since their legal obligation is to the adoptive family rather than to you. The facilitator or adoptive parents should pay the fees for you to have your own attorney. Wait at least 24 hours after your delivery to sign the paperwork. Almost every state prohibits birth parents from signing an adoption consent before their baby is born. Some states require a certain number of hours to pass after delivery before paperwork can be signed (in DC, for example, no consent can be signed until 72 hours after delivery). Even in states where there is no minimum wait period (such as Maryland and Virginia), ethical practitioners will wait at least 24 hours to give you time to rest and recuperate. Spend as much or as little time with the baby in the hospital as you wish. You are your baby’s legal parent until the revocation period ends, which means that you have the absolute right to spend as much or as little time with your baby as you wish. You also have the right to make any and all medical decisions regarding the baby, even if the adoptive family is involved or present at or after your delivery. Revoke your consent to the adoption within a certain number of days if you change your mind. The “revocation period,” or amount of time you have to change your mind after you have signed the adoption paperwork, depends on the state. Birth parents in Maryland have thirty days to change their minds, and birth parents in DC and Virginia have ten days. Some facilitators may urge you to waive your rights in your state and follow a different state’s revocation law. Before you do so, make sure you know exactly what the difference will be; some states have very short revocation periods, and others have no revocation period at all, which means that if you are following those states’ laws you will not be able to change your mind after signing. If you are not comfortable with waiving your rights in your home state, you have every right to refuse to do so. If you are working with an adoption facilitator and you feel pressured or uncomfortable about how things are going, we urge you to reach out to an adoption agency so that you can get some counseling as you decide how to proceed. Licensed non-profit adoption agencies are staffed by social workers, counselors, and attorneys who can offer you support both before and after you make an adoption plan. They are licensed by the state to make adoption placements, so another way to figure out whether you are working with a facilitator is to ask whether they are licensed or accredited in the state in which you live, and if they are not, to ask in what states they are licensed or accredited. Again, if you think you are working with a facilitator and something just doesn’t feel right about it, reach out to us here at Adoptions Together. We can provide counseling for you if you live in Maryland, DC, or Virginia, and if you live elsewhere, you can still give us a call and we will gladly help you find a licensed agency in your state. For those of you who made an adoption plan in the past, did you work with a facilitator or with an agency or attorney? What was your experience like?